Books featuring mermaids and mer-people have been very popular lately. Today I'm excited to introduce to yet a new book that also spins a new take on mer-people. Indie publisher Ciye Cho is here to talk about her book, Florence, and maybe we should reconsider somethings before wishing to be a mer-person. Be sure to check out the bottom of the post for your chance to win a copy of Florence! 1) You'll get seaweed stuck between your teeth. A lot of it. tools to scrape off barnacles--and it's about as painful as it sounds). 4) Talking to animals can be fun. The conversation? Not so exciting. 5) Painting your fingernails underwater can be very, very messy. 7) Ever tried drinking coffee underwater? 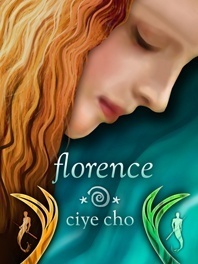 Ms. Cho is very generous to giveaway 1 (one) ebook copy of Florence to 1 (one) lucky reader! 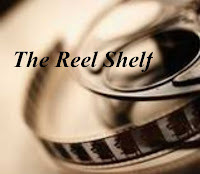 To enter, simply leave your name/alias along with an email address so I can contact you to win. Giveaway will end on Saturday, September 8th. The winner will be chosen by Random.org and winner will be announced on my blog on Sunday, September 9th. Good luck to all those who enter! I would definitely be in trouble with the sharks and the raw fish 24/7! I'm absolutely petrified of sharks and I'm not a big fan at all of seafood, so I feel like as a mermaid I'd be in trouble. I could live without coffee an iphone though, so I've got that going for me! Okay, after just watching a week of Shark Week on Discovery Channel I'd be a bit frightened of the sharks, hope the merpeople have repellent or a map of their favorite places. I've learned a few of those after this week. Hate raw fish. But love seafood. Thinking maybe I could find a compromise. I'm thinking for the coffee I could make friends with a barrista that brings it to me on the docks each morning? Yes? Don't care about my fingernails but the barnacles. Blech and ouch! But I really want to read this book. These are my people!! Hmm... interesting post! I don't think I can live as a merperson but I find them so fascinating! I'm currently in a mer craze right now and I would really love to read this book!